Known for spectacular views and short sandstone cliffs and boulders, Black Mountain consists of 528 acres of land, conserved and protected by the Tennessee Parks and Greenway Foundation. 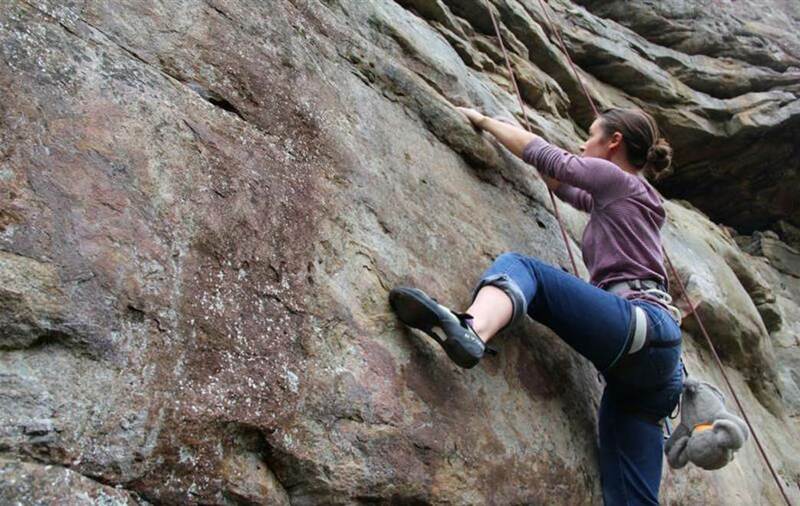 A thin 40-foot cliff band and a scattering of boulders make up Black Mountain- a hidden gem and a once preeminent Knoxville climbing destination, prior to the development of the Obed. The boulder field is similar to RockTown in north Georgia, with a huge maze of boulders, replete with tunnels and hallways. 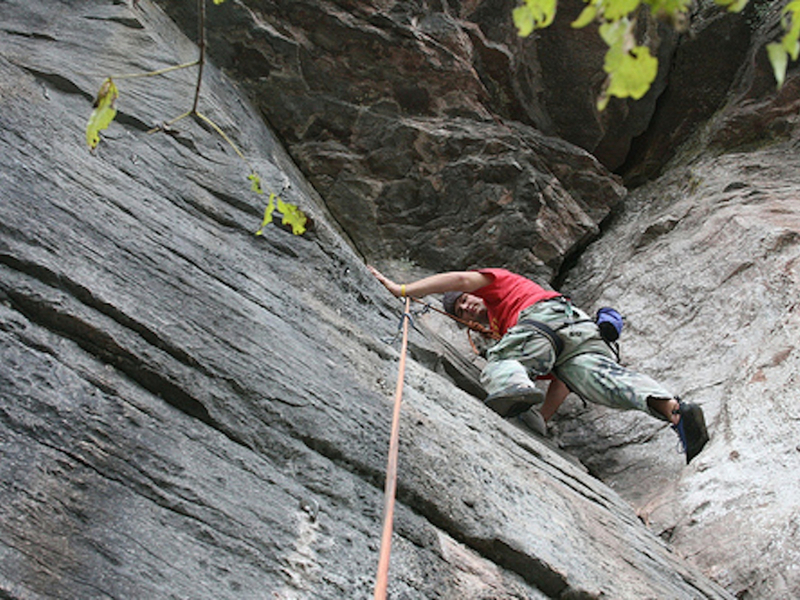 Located along the Cumberland Trail, Black Mountain is a wonderful place to get started as a climber. At 2,900 feet, it's also one of the highest points on the Cumberland plateau with really fantastic views. Because many of the bolts have been removed from the Black Mountain area, most of the climbs are top ropes and bouldering problems. This provides a great place to learn how to climb (and refine skills), but also gives more experienced climbers shorter routes to practice climbing hard on conglomerate sandstone. Most of the routes here are under 40 feet tall and are reached by wandering through the maze of trails that winds through the property. There are some trad routes available, but this is not the place to come if you are only looking for trad climbing. Although Black Mountain is always suggested as "a great beginner location," it has some really hard stuff. In the Maze Area alone there are routes from 5.9 to 5.12b. This will give everyone plenty of options to climb on if you come with a larger group, and provides options to try top roping something at the edge of your comfort zone. Black Mountain is a great training ground for southeastern stone. ...And the views here aren't half bad. Once you have made it to Black Mountain, you can either park at the radio tower on the right (the trail is across the road) or can continue to the top and park where the road ends. Both parking areas lead you to the rock, so try them both out to see which one takes you to your favorite routes/boulders.